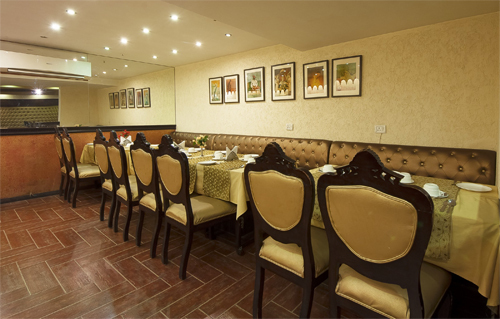 A perfect blend of modernity and heritage, Siris 18 is a reasonably priced 3-star hotel located near the famous Taj Mahal and Agra Fort. Serving the need of modern travelers with benevolence and care, Siris 18 has world class infrastructure and neat and clean environs. The highly cordial staff welcomes you with a smiling face and does their bit to encourage you to keep coming back. Guests can relax and rejuvenate at TATVA, the spa at the hotel. 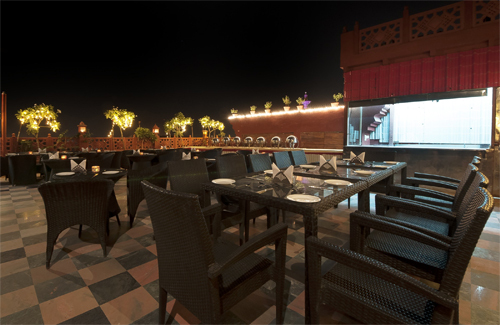 Open Affaire, the rooftop restaurant allows you to enjoy delicious cuisines in a dim candle-lit setting while also enjoying a movie on Taj Mahal. 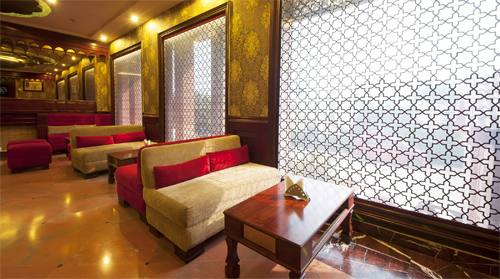 You can also chit-chat with friends or family while sipping a cup of hot coffee in KUCH BHI, the coffee shop. Also, refresh your evenings in U2, a bar offering fine alcoholic beverages with the facility of karaoke. 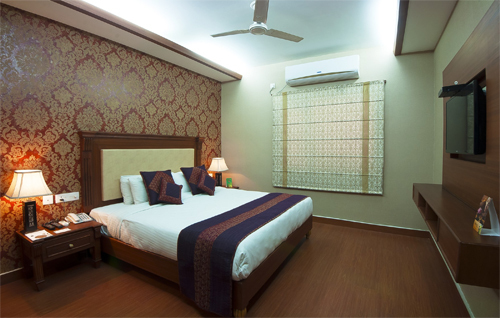 The hotel comprises 31 air-conditioned rooms with top notch amenities ensuring the guests a relaxing stay. Corporate travelers can head to the conference hall- Mokha. The 31 rooms at the resort are naturally lit and have a graceful ambiance. The categorization of rooms is basically done on the basis of furniture. The 8 deluxe rooms in the hotel have straight line modern furniture while the 18 super deluxe rooms are decorated with intricately handcrafted silver plated furniture. 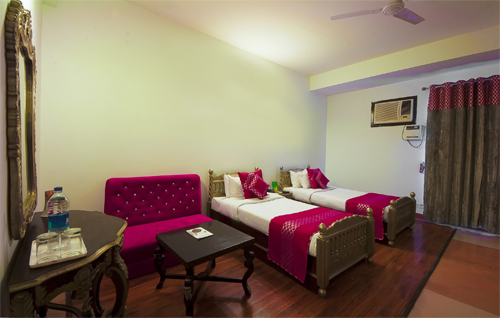 Meanwhile the 5 courtyard rooms feature a combination of contemporary and antique furniture. The hotel is just 1.5 km from the Taj Mahal. It is located 5 km and 11 km respectively from Agra City Railway station and Agra Kheria airport. The hotel is also close to TDI mall and Pacific Mall. 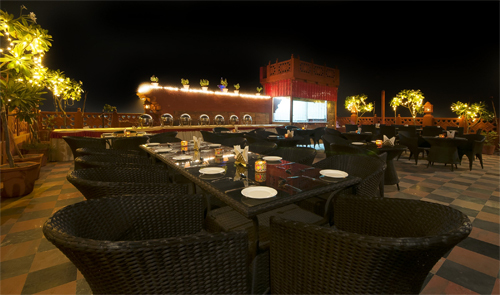 Other places of tourist interest close to the hotel are Agra Fort and Fatehpur Sikri.